AdBeaver wants the ad-blocking users back on the scene and therefore this browser extension claims to provide them with great offers, coupons, high-quality ads, and whatnot. But do not be fooled by the “cute” name and the promotional slogans. We have found that this application is just another annoying adware program that litters your computer screen with potentially harmful third-party advertisements. Clicking on such ads is always risky since you cannot know whether you land on a legitimate website or a malicious one. Another issue with this adware is that if it is present on your computer, it is quite likely that you will find other malware infections as well. This means multiple system security issues for you and your operating system as well. This can easily happen when your PC is not protected by an up-to-date security tool. We recommend that you delete AdBeaver as soon as possible because it may expose you to unreliable third-party web content. As for the other threats, you cannot leave any of them on your computer; otherwise, it will not be safe for you to switch on your PC. 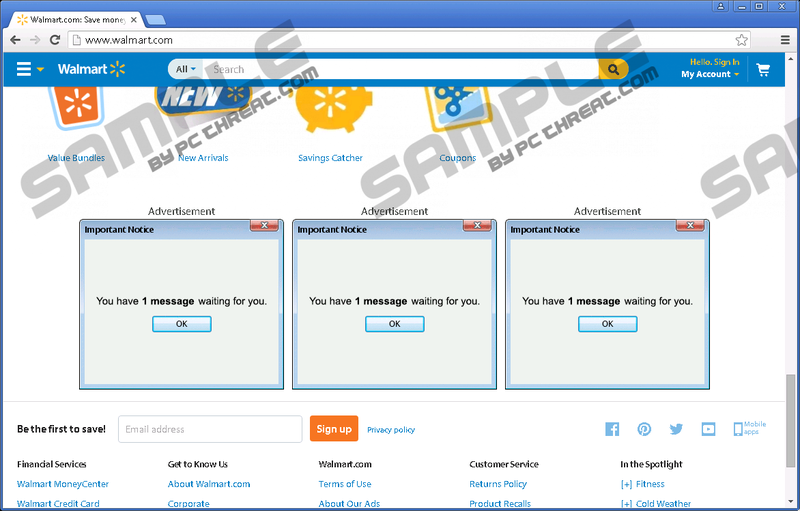 This adware can infect anywhere around the world. We have not found any proof that it would be region-specific. One of the possible sources of infection is its own official website at adbeaver.org. From this site it seems that it only affects Mozilla Firefox. But we do not think that too many users would find this site or that they would download this application from there. Reports and our research show that it is more likely to download and install this useless adware through freeware bundles. The reason behind packing several malicious software installers together with legitimate free programs is obviously to infect unsuspecting users, who may not even realize that by installing their targeted free software, they actually let a whole bunch of threats on board. You can end up with such an infectious bundle if you click on unsafe content on questionable file-sharing websites, including torrent, shareware, and even pornographic sites. The lesson is clear here: You need to avoid such sites and clicking on third-party advertisements if you want to protect your computer from malware attacks; or at least from the more common ones. But, if the damage is done and you have installed such a bundle, you should not only remove AdBeaver; it is just as important for you to detect all other malware infections that may be endangering your operating system. We have noticed that the official version only seems to work on Mozilla Firefox. However, we have found other versions in bundles that also affect Google Chrome. When you install this application, you will be requested to also install Adblock Plus (for Firefox) or Openadblock (for Chrome) extensions in order for this adware to work properly. Immediately after you finish installation, potentially dangerous third-party advertisements start to be displayed all over your screen in the form of banners, pop-ups, or both. These ads can redirect you to various modified and bundled installer hosting websites where you may be offered to install Java. This simply means that if you click on any content shown by this adware, you may end up on malicious websites and infect your computer with more malware threats. This would be rather detrimental to your system security, which is already under attack by a number of malware programs most probably. That is why we believe that you should remove AdBeaver right now and take care of all other potential threats as well. You may choose to try to manually detect these threats, but you should understand that unless you are an expert computer user, you may not be able to find the more intrusive and stealthy threats, let alone to eliminate them. You can check the list of installed programs in Control Panel and you may find some suspicious applications that you can simply uninstall. You can also have a look at the extension lists in your browsers to weed out the useless and potentially harmful extensions. But even if you do all these steps, leftovers may remain on your system, not to mention the more dangerous threats that may still be hiding on your machine from plain sight. In order to delete AdBeaver, you simply need to get rid of the extensions in the affected browsers. If you are not familiar with this, please follow our instructions below. However, if you want an effective and automated way to clean your computer of all possible infections as well as to protect it from further invasions, we suggest that you install a reliable anti-malware application. Locate the extension and click on the trash icon on the right. Press Ctrl+Shift+A to launch the Add-ons manager. Quick & tested solution for AdBeaver removal.